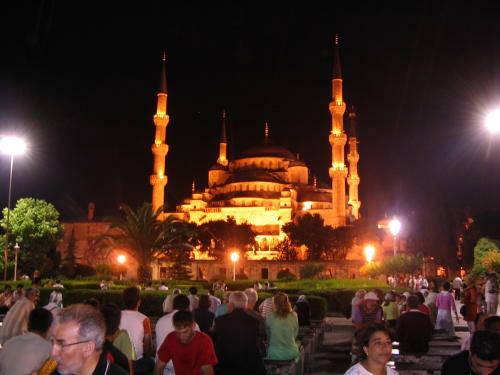 The "Blue Mosque" (and other buildings in the old city area) are illuminated at night. The people are sitting on benches at the front of the garden space surrounding the mosque. The Harem of Topkapi Palace -- Our tour guide. Notice the tiles on the wall. 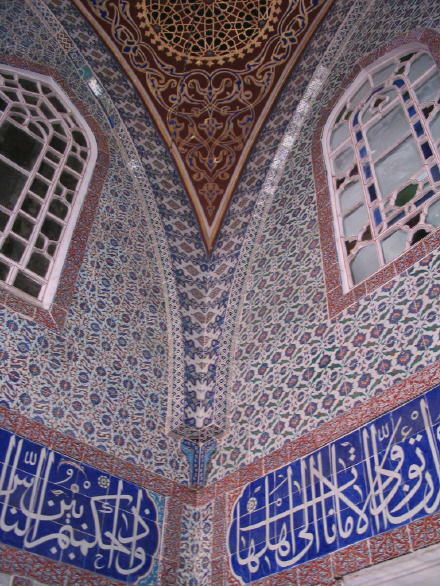 Again, in the Harem of Topkapi Palace. A high corner. The Arabic lettering is not everyday language, but Koranic, a special type.